Captain America now helps decorate your room! 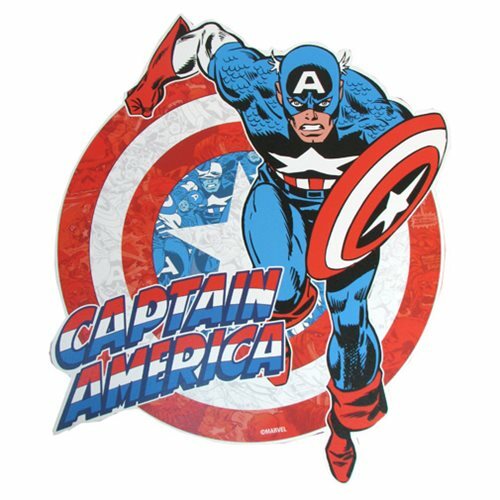 This Captain America Classic Die-Cut Wood Wall Art features the first Avenger, charging into action. The background of this wall art is composed of classic Captain America comic book art. To apply, simply hang up the piece on a nail with the attached mounting bracket. Measures approximately 14-inches tall x 12-inches wide. Ages 14 and up.